What is the difference between a terrorist taking hostages for his own safety and a Haryana godman who uses hapless women and children as human shields to protect himself from the law? The latter’s culpability should be seen as something worse, for a terrorist is a terrorist, someone who always operates outside the law. But a godman using this kind of human leverage stands condemned by the misuse of his own moral authority. In fact, he is responsible for any injuries or deaths resulting from the police action now underway. The Haryana Director General of Police, SN Vashisht, informed the media today (19 November) that the inmates of godman Rampal’s ashram in Barwala (Hisar) handed over the bodies of four women. It is not clear whether they died in police action to evacuate the devotees guarding the ashram or some other cause. But whatever the post-mortem report shows, the moral responsibility for their deaths lies with their godman, and not just the police. As we noted yesterday (18 November), Rampal has been evading arrest and the law for a crime committed by his acolytes in 2006. In the last four years, he has evaded court appearances 43 times. He has to appear in court for the unlawful actions of his followers who apparently fired at villagers in Rohtak in 2006, killing one. The godman is out on bail, but the court’s patience is clearly wearing thin. Sant Rampal. Image courtesy: Facebook page. However, it is not Rampal’s alleged crimes of commission or omission that are the issue here. Those the courts can deal with and determine guilt. The real issue here is the use of hapless poor and confused devotees to evade the law. For this act alone, the godman and his band of armed protectors deserve to be in jail. 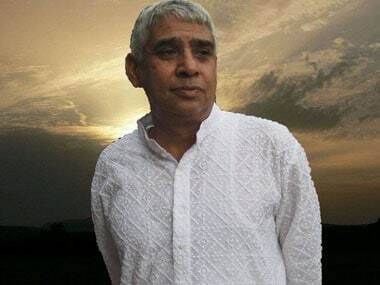 Rampal’s devotees, interviewed by the media after they left the ashram in the wake of the police siege of the ashram, seem to clearly suggest that their actions were forced by the godman’s henchmen. This is no different ethically from taking hostages to keep the law at bay. An Indian Express story says that most of them were actually unwilling to play the role of human shields for their godman but were coerced into it. The force probably worked this way. The women who formed some of the outer ring around the ashram were separated from their men and children. This pressured them to stay at the ashram and provide the outer human shield – temporarily making it tough for the police to act. Their families are still held inside. Clearly, force and emotional blackmail are part of Rampal’s acolytes efforts to help him evade arrest. What all this proves is simple. 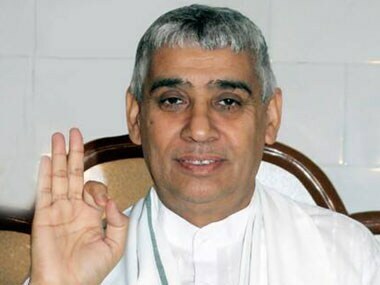 #1: Rampal is a fugitive from the law. His godman status is between him and his devotees. #2: For a godman he has no spine. Otherwise he would not be using hapless women and children to protect himself. #3: The police are right to use some degree of force to end this farce. They have to take care they don’t kill or hurt too many innocents. 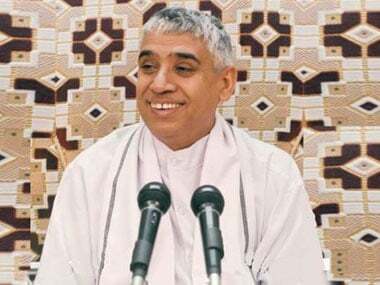 #4: A godman who needs goons and armed guards is anyway a man less concerned about spirituality and more about his own protection. Laws need to be tightened to ensure that godmen (or, for that matter, politicians) do not create private armies in the future. The law gives too long a rope to so-called godmen. It is time to shorten the rope. 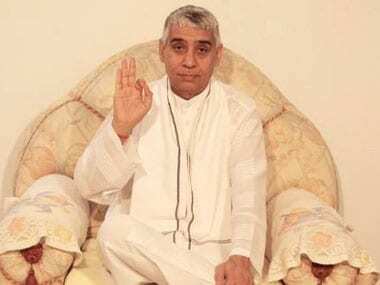 From a 'careless' engineer to a godman women can die for: Who is Hisar's Sant Rampal? 1Six dead in Hisar: Is Sant Rampal any better than a hostage-taking terrorist?